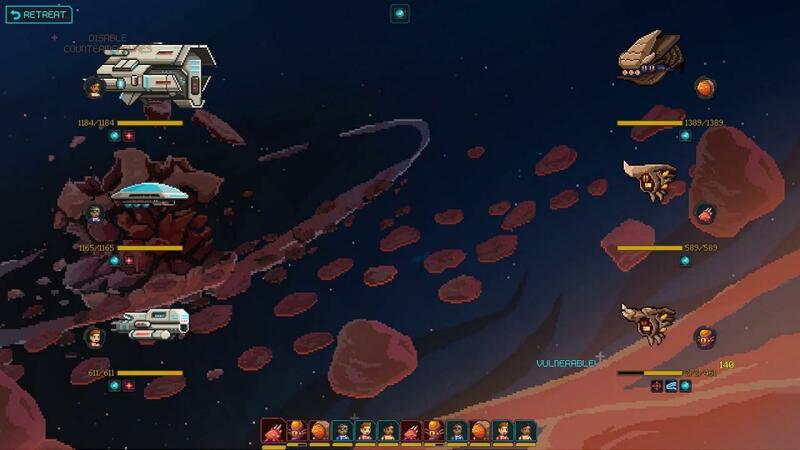 The space strategy game with RPG elements recently got a patch focused on combat and customization following feedback from players. Liam shared his thoughts about this one not too long ago, finding it an interesting game with a mix of elements from various sources of inspiration. A general stated goal for this update is to reduce the tedium of grinding and making player choices feel more important. Having pirate allies help out certainly sounds like a step in the right direction. Combat-wise, new effects such as powers that allow for increased evasion as well as panicked crews randomly attacking do more to spice things up. Recovery times on powers have been tweaked and more powerful abilities have gotten warmup times before they can be used. These are joined by a large number of others balance tweaks to ships, factions and colonies. A few other sensible things are also in, such as the ability to build cloning facilities to bring back dead officers and being able to customize ship designs. But if that doesn’t work for you, selecting new officers is made easier with more rerolls being added when recruiting them. That’s in addition to a few more quality-of-life changes such as displaying information when a status effect is resisted and making enemy ship information viewable from the starmap. If you’re looking to scratch the itch of a space game with a host of influences, including JRPGs, then it might be worth checking Halcyon 6 out. You can grab it on Steam or GOG.